Nobody could accuse Claviere of not being well-connected. 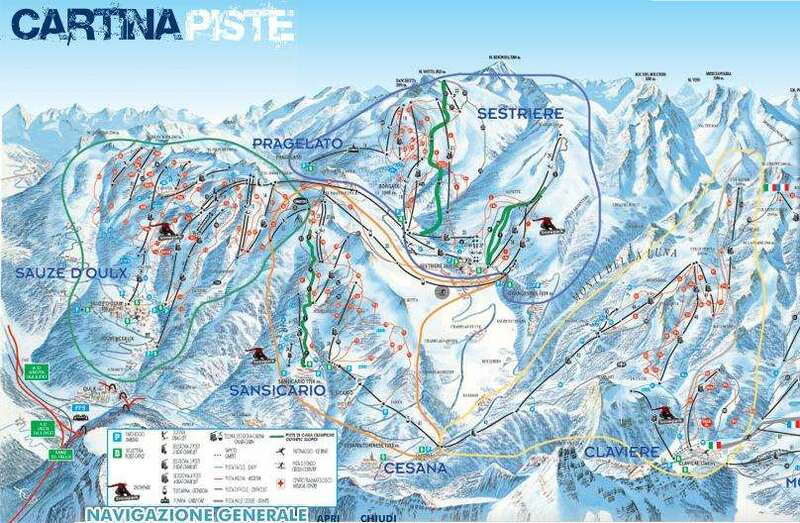 After all, this resort in Italy is located right in the heart of the Milky Way ski area, meaning the likes of Montgenevre, Sestriere, Pragelato and Sauze d’Oulx are not far away, even if you do have to cross over the border into France to access the latter. Reasons for choosing Claviere over some of the other resorts are myriad. It’s small and charming and, if you believe the locals, the snow conditions are unrivalled anywhere else in the region. The small, traditional village of Claviere lies right on the route between Turin and Briancon. Being in Italy, yet so close to the border with France, it benefits from the cultures associated with both nations. Snow coverage at Claviere is well-known for being good, making it a sure bet for those keen on booking a holiday at a resort with consistent conditions. A huge snowy bowl above the tree line provides plenty of powder. The 33km of piste at Claviere ranges from 1,760m to 2,300m. Intermediate skiers and snowboarders will find plenty to challenge them in Claviere, as it is home to a great selection of high, open runs, while those that are lower down are wooded and interesting. 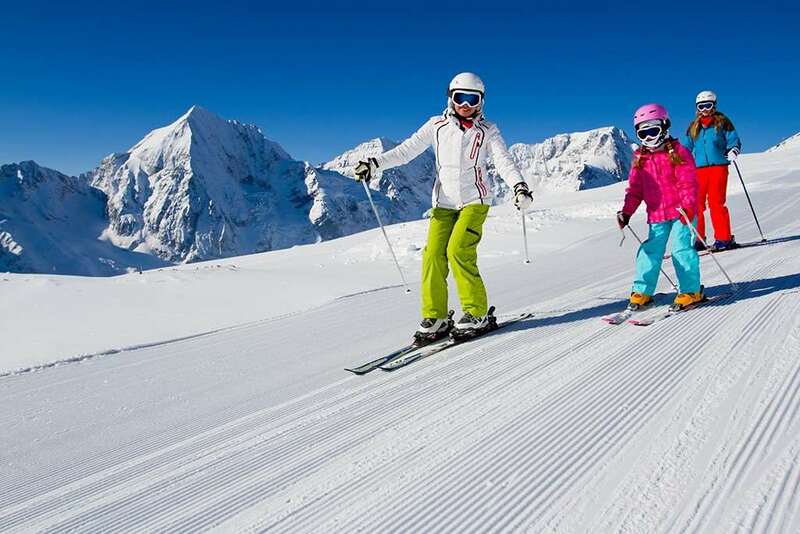 Red and black slopes are the order of the day, although families will find the ski school well-equipped and able to start kids off on a life of skiing prowess. With links to the rest of the Milky Way, there’s a vast trail network available to visitors. Up on the mountain, restaurants such as Chalet Mon Soleil and La Coche offer hearty food to fill you up. Meanwhile in town, I Gran Bouc can satisfy everyone’s needs, as it is split into two. There is a fancy side and a more rustic option, so you can decide which one suits your mood. As the apres ski scene in Claviere is fairly subdued, those wishing for a big night out should head to nearby Montgenvre. There are only a few bars, but this is enough for a quiet drink after a day on the slopes if partying is a thing of the past. Ice skating, sledging and bum boarding are all available for families who want a rest from skiing. The nearest airport to Claviere is Turin, which lies 107 kilometres away and takes around an hour and a half to drive to when the conditions are favourable. This is an excellent resort. Great skiing. Great mixture of slopes and excellent teaching staff. There is not much apres ski but that suits me fine when on holiday with a family. Claviere is a great little resort and the pistes are very well maintained. Since the winter Olympics at Turin the lift systems have improved dramatically and a lot of the lifts are new chairs that have replaced legacy drags. The resort is great for beginners and is well linked to Montgenevre, would definitely recommend for beginners and families. There are some great off-piste tree lines to be had and some good open area&#39;s in Montgenevre to sample your first off-piste experience as the slopes are wide and not too steep. The resort is one of the cheapest I&#39;ve ever experienced. Claviere as a resort is very small and quaint with only a few bars and as such not much happening on the Apres Ski scene, but as long as there is decent snow you should be able to find enough to do for a week away.